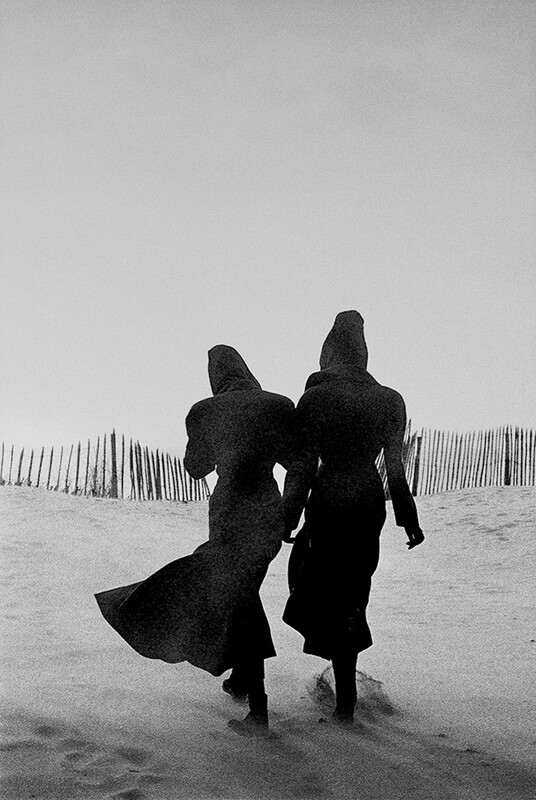 To me Azzedine Alaïa was, first of all, my friend. He was someone who fed me and put a roof over my head when in Paris – which sounds romantic, but was actually quite literal. One night, the final season I spent with Azzedine in Paris last October, I was locked out of the apartment in his Rue de Moussy building which I rented (and continue to) each time I’m in Paris. Didine, Azzedine’s gargantuan and much-loved St Bernard, began to bark as I pounded the door. Azzedine came and laughed at me through the glass. He then brought me into the famous Alaïa kitchen for a large drink and a small, very late dinner before bed. I was there until four in the morning. It wasn’t an unusual situation. But it was special, as those moments with Azzedine always were. But besides that, Azzedine Alaïa was also the greatest couturier of our time, as his first retrospective exhibition ever staged in London is suffixed. Azzedine Alaïa: The Couturier opens tomorrow at the Design Museum, and in the kitchen at Maison Alaïa, shortly before his passing last November, Azzedine asked if I would help to compile the texts to accompany each of the thematic groupings of his life’s work. Of course, I said yes. Azzedine was intimately involved in every aspect of the exhibition. He curated it alongside Mark Wilson of the Groninger Museum in the Netherlands, with whom he had worked on numerous exhibitions before. This one is divvied up into a dozen sections underscoring specific techniques and general inspirations. Azzedine wasn’t the kind of designer who ‘themed’ his collections, though he did have aesthetic motifs and ideas he returned to often – such as abstract notions of Africa, where he spent the first years of his life, most evidently recalled through his use of lace and broderie anglaise that recalls the porous screens known as mashrabiya that are such a feature of Arabian architecture. Each section is introduced with a quote directly from Azzedine, about those themes and his design philosophy in general – although many were hard to come by. They also reminded me of one of my favourite quotes, from my own initial meeting and first interview with Azzedine, when I asked him a question about his ‘work’. “I don’t like to talk about my work,” he said, stony-faced. Luckily, he later relented. And smiled. A lot. Azzedine had created a number of new garments for the show. Some were reworking of existing dresses – Azzedine designed his own mannequins, cut from plexiglass and designed to vanish inside the dresses they occupy, the opposite of Alaïa clothing, often in black, which seem to vanish on the body of the wearer. “I prefer people to notice the woman and not her clothes,” Azzedine said. It’s reflected in his taste for black, which affords a certain anonymity, and hides seams. 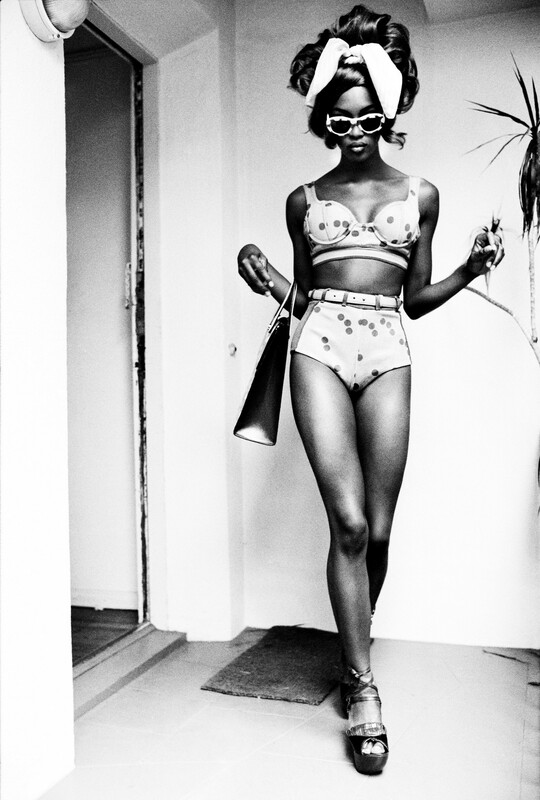 In this exhibition, Azzedine’s – originally based on the dimensions of Naomi Campbell, but oft altered since – have been attenuated to resemble Giacometti sculptures, to fill the cavernous space of the Design Museum. Numerous outfits have been entirely remade to accommodate the changes; every time Alaïa changed the shape of these mannequins, every pattern had to be completely redrafted and outfits entirely remade. Several, such as the hooded magenta acetate dress originally worn by Grace Jones in 1986, have been recreated several times, in a relentless pursuit of perfection. There are also a number of new garments, like a trio of sequinned and ruffled dresses in uncharacteristically brilliant hues of emerald, cobalt and cyclamen, underscoring Azzedine’s love of Spain; or a dress of chain-mail combined with chiffon, where the metal links become almost magically more transparent than the fragile fabric. Azzedine Alaïa’s was relentlessly curious – there was nothing parochial or xenophobic about his outlook, which constantly embraced a myriad of cultures and geographic inspirations, melding them with his own. He was “at ease anywhere in the world,” he said to Donatien Grau, the curator who was a close friend and collaborator. 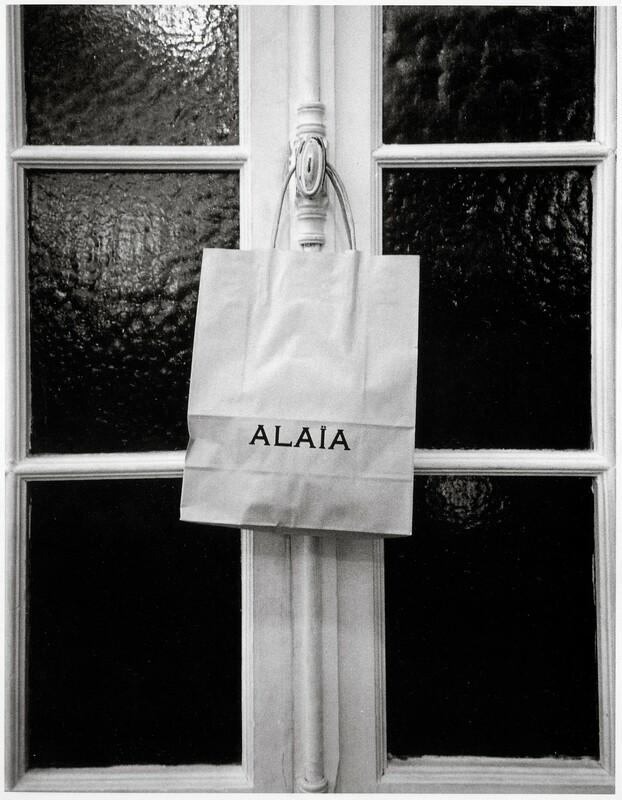 Here, in celebration of the Design Museum show, Alaïa’s boundary-defying, era-defining work – his signatures of leather, tightly wrapped bandage dresses (inspired by ancient Egyptian mummies), and the aforementioned love of black – are accompanied by his own words. Azzedine Alaïa: The Couturier runs at the Design Museum, London from May 10 – October 7, 2018.